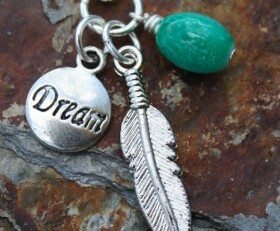 The simplicity of this necklace says it all. 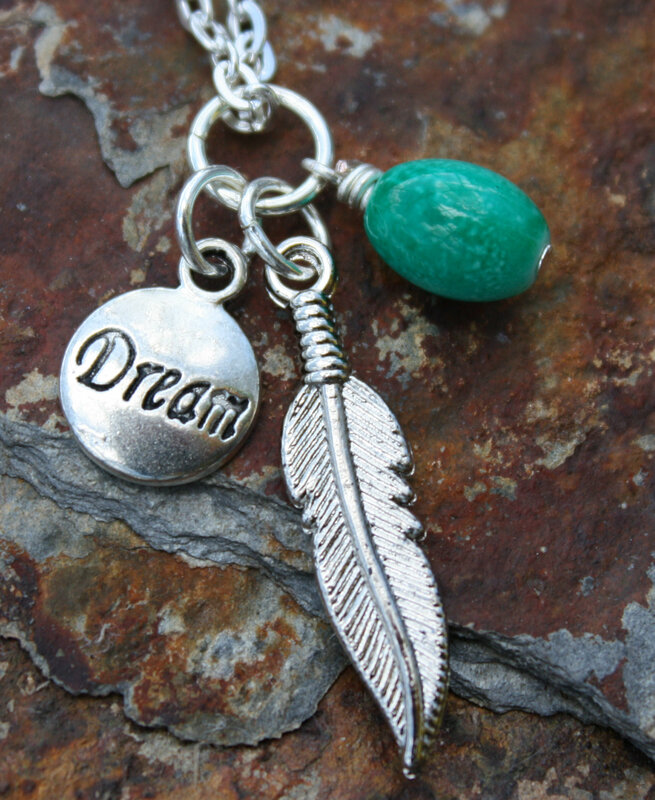 Dream charm, feather and green stone on a 27″ chain makes a beautiful, elegant necklace. Categories: A Little Bit of Everything, Shop, Yoga / Zen Life Jewelry, Yoga / Zen Life Necklaces.